Driving without insurance is a criminal offence. Most people get caught out by some administrative error: often an insurance company will cancel a policy because of a problem with monthly payments or because they did not receive proof of a no-claims bonus. In other cases, there is confusion over the precise terms of an insurance policy. It is also an offence to let someone drive your car knowing they have no insurance. Common examples include employers who require an employee to drive for a work reason, or a friend who allows a passenger to take over the driving when they get tired. In these circumstances, the employer and the owner are then prosecuted for “causing or permitting” another person to drive without insurance. Whatever your situation, we’ll be happy to go through your options and outline any defences you have. We defend insurance cases on a weekly basis. 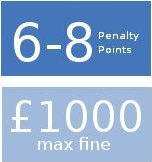 The penalties for driving without insurance can be onerous: if convicted you face between 6 to 8 penalty points on your licence. The court can disqualify you if the case is considered serious enough (a “discretionary” disqualification). You will also get a fine for driving without insurance. In preparing your defence, a technical examination of your insurance policy is required. Some policies remain valid even if you do not currently hold a valid licence. 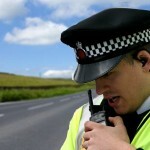 If you are driving in the course of your employment, there is a defence to driving without insurance if you had no reason to suspect that there was no insurance in place.Even where you face a conviction for driving a car with no insurance, the court has a discretion not to put points on your licence if there are special reasons not to. Your motoring solicitor will assess the circumstances and consider whether such reasons might apply to your case. Thank you so much for the quick, clear and decisive advice regarding my alleged speeding fine. Obviously you know the law in depth in this area. My mind is now at rest following our conversation and the future is a little less stressful as a result.